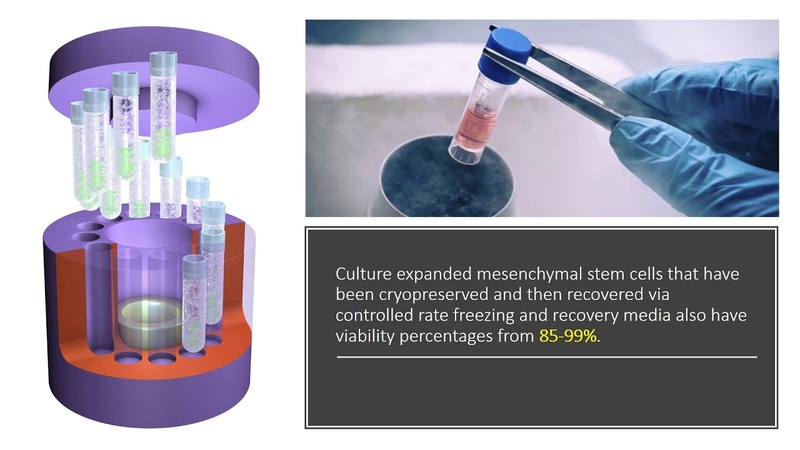 We are perhaps 3–5 years away from seeing our first true isolated and culture-expanded stem cell product used to treat knee arthritis that is FDA approved and covered by insurance. As the stem cell research world contemplates that eventuality, I can’t tell you how many medical research conferences I’ve attended where academics have gotten on the podium and declared that only someone else’s (allogeneic) stem cells in a vial will be economically viable. Why? Given the constraints that federal regulators have imposed on processing and approval, growing your own stem cells is an expensive proposition. However, research has continued to trickle in showing that using allogeneic stem cells can cause problems. A recent study argues that using allogeneic stem cells to treat arthritis more than once may cause an unwanted and serious immune response. Let me explain. In the meantime, there are many companies trying to get FDA approval for real stem cell products. These are stem cells that have been isolated (usually from bone marrow) and grown to bigger numbers. Most of these are allogeneic products from young donors, while some are autologous. For example, our novel technology to treat bulging discs is currently in phase-2 FDA trials. However, even companies that have been working on getting FDA approval for years are still years away from obtaining clearance to sell and market these real stem cell products. First, realize that we’re talking about stem cell products here that are isolated and grown to bigger numbers in culture. Second, the autologous (your own cells) vs. allogeneic (someone else’s cells) debate has been raging for more than a decade. Had the FDA used its risk-tiered regulatory system to stratify the risk of these two processes differently so there was a lower bar for your own cells grown in culture, we would have long since had autologous, culture-expanded cells in use. However, despite the different nature of these risks (one-on-one like surgery for autologous versus one-on-many like drugs for allogeneic), these are both regulated like drugs. Hence, the incredible regulatory cost of making one dose of your own cells can only be spread to one patient versus that same cost spread to hundreds of doses for allogeneic cells. Hence, it’s not surprising to see academic stem cell scientists working with industry get up and claim that allogeneic stem cells are the only commercially viable option. It’s long been believed that allogeneic stem cells are immune privileged. This means that they can’t be rejected by the host’s immune system. However, while that may or may not be true for cells that aren’t differentiated, it isn’t true for cells that begin to turn into other cells. Differentiation is what stem cells do—meaning that they detect chemical and environmental clues and then morph into another cell type that’s appropriate for the environment. When that happens, they pop up markers for “self” that can be detected by the host as foreign. For example, this cartilage-repair research demonstrated that allo mesenchymal stem cells were visible to the host’s killer T immune response. Remarkably, this was true for both undifferentiated and differentiated cells. Even when the authors tried to cloak the cells in alginate beads, the body still figured out these were someone else’s cells and this triggered not only a local but a systemic immune response. That last part is scary, as that can lead to a serious and life-threatening immune response called graft versus host disease (GVHD). I Thought That My Stem Cells Were “Too Old” to Be Used? One of the myths being propagated by gullible chiropractors, acupuncturists, and physicians trying to sell amniotic and umbilical cord “stem cell” treatments is that if you’re middle-aged or older, your stem cells are too old to be used. First, as discussed, these products used by these providers contain dead cells, so all of your stem cells work better than dead cells. Second, you have prima facie evidence your stem cells are working fine—you’re still alive! Yes, if your stem cells didn’t work, you would soon be dead as they provide the daily maintenance and tissue replacement needed for life. As an example, your entire red blood cell blood volume replaces itself every 120 days, your white blood cells once a year, your fat every 10 years, your skin cells only last a few weeks, and your colon cells only last a few days! Finally, the registry data that we have collected since 2005 shows no fall off in stem cell efficacy when used for orthopedic treatments as you age. Hence, you may want to stay away from providers who don’t know what they don’t know. The new research was done in horses, which gives us more latitude to get more data. Basically, the authors had three groups based on what was injected into joints: autologous stem cells grown without a xeno media product, autologous stem cells grown with a xeno product, and allogeneic stem cells. What is a xeno product? Stem cells that are grown in culture are usually grown with fetal calf serum (FCS) (also known as fetal bovine serum, or FBS). The problem is that for a horse or a human, this mixture of baby-calf serum is not the same species (xeno). In addition, since cattle can be infected with a nasty prion that can turn your brain to mush (Creutzfeldt-Jakob disease), it’s best to avoid FBS. Hence, at our licensed Grand Cayman site where we grow cells to larger numbers in culture, we have always used the growth factors isolated from the patient’s own blood platelets. What did the new research show? The horse joints that got the autologous cells grown without a xeno media did the best followed by the autologous cells grown in xeno product. The worst outcome was in the allogeneic cells group. In particular, while the first allogeneic stem cells injection seemed to go fine, the second one caused serious joint swelling and white blood cells to accumulate. Basically, the authors believed that the body was targeting the second allo cells injected as foreign, having learned from the first stem cell injection. How Could This Impact the Billions Being Spent to Get FDA Approval for Stem Cell Arthritis Treatments? The entire stem cells in a vial industry is built on the idea that stem cells are immune privileged. If this isn’t true, literally billions of dollars of FDA-approval trials will have been wasted. In particular, if all you can get is a single joint injection before the body learns to reject the cells, that’s a huge problem! The upshot? So can you use allogeneic stem cells in a vial for arthritis? More research will need to be done. However, my best-educated guess as the physician on earth who has been using cultured stem cells to treat orthopedic conditions the longest is that the answer may be “no.” Or maybe that this is a “one trick pony” and you get one shot at the therapy. In the meantime, we’ll stick to using the patient’s own cells. Thanks for your informative research and updates on stem cell replacement therapy. I am a 78 year old who just got my first treatment for my “worn out knee” due to many athletic endeavors. Please keep up your work. Great news! Heal well! Thank you. Do you have any clinical studies coming up in the Spring of 2018? Thanks for your blog. Thanks for continuing to research and inform. And when this FDA approved garbage finally becomes available, is likely to be the case that you’ll have to buy the specific dose of cells approved to treat the knee for tens of thousands of dollars a vial egardless of wich joints you actually need to treat? Yes, "off label" should be allowed. I am a healthy athletic 71 year old----a reputable stem cell physiatrist (you know her) has said that fat cells derived from adipose tissue seem to be better than bone marrow derived at this age.--She does both procedures. You seem to dismiss the use of adipose derived stem cells? There is only one MD in my state who does stem cell procedures. He told me I should use the regenexx rather than my own stem cells. How can I tell him what I want is my own stem cells? Additionally, I have begun with my right knee, but the left is equally bad. I will be doing that knee after the right has healed. Joan, there are no viable stem cells from another patient that are sold or marketed in the US. So if someone told you that you could get a stem cell shot with someone else's stem cells, that was a scam. Hope more studies to be done. I had stem cell taken from my belly fat and twice injected near cervical spine. Not much difference on MRI but now after 4 months have auto immune fibromyalgia pain in arms, upper legs and back of knees and also auto immune pemphigoid in gums. Don't know if stem cells triggered this. Unfortunately, we would not know what was in what was injected, so we have no way to predict what might have caused the current issue.